Sparco Nonskid Heavy-Duty Economy Stapler - Economy stapler features steel construction with nonskid rubber base. Throat depth measures 2. 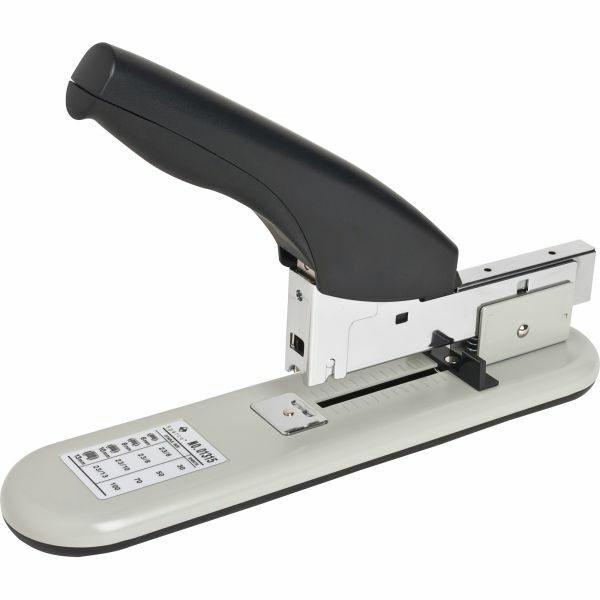 Stapler fastens up to 100 sheets. Stapler uses any heavy-duty staple up to 1/2"." Staple size: Any Heavy-duty up to 1/2"